Becker Oil-Flooded Pumps | Lewis Systems Inc.
Providing vacuum to 29.9 inHg (0.4 Torr), Becker’s compact, direct-drive, oil-flooded pumps combine reliability with industry-leading performance. 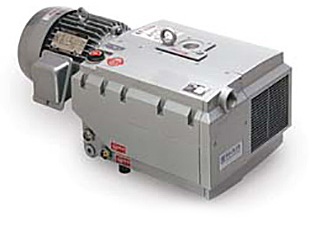 These oil-flooded vane vacuum pumps are cool running, quiet and highly efficient. They are ideal for applications where high volumetric efficiency is needed throughout the operating range such as packaging, thermoforming and food processing.